The power of a mere lump of clay is amazing. Pottery is such a great art that even a simple ceramic pot can change the appearance of your home at large. Attractive designs and their wonderful color effects brighten the place where they’re kept. In short, ceramic pots are like a charm that illuminate any dark area. And also, they fill a place with prosperity. Their grandeur enhances your pride. The magic of creating them in such a way lies in the hands of gifted Mexican artists. They’ve passed the art of pottery from generation to generation since the 16th century. Even today, their traditional techniques of making Mexican pots remain the same except some recent changes in the designs, shapes and decorations. This beautiful art was originated in Puebla, Mexico. Yet, most recently, Mexican Talavera pottery designs have mixed with foreign designs due to factors like colonization. 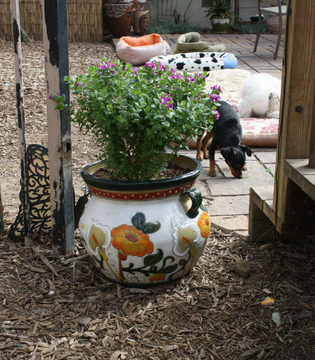 However, Talavera pots are widely used for interior and exterior décor in houses and business places. They have become a must to decorate gardens, patios, open spaces, dining halls and even bedrooms. Also, they are used as bird bath bowls. Whatever the place they’re kept, the majestic look, beauty and value they add never drop down. The specialty of Mexican Talavera pots is their uniqueness. Each and every pot has its own identity since they’re all hand-painted individually. Even at this moment, thousands of Mexican artists may be painting designs on clay pots. Mexican Talavera pots are made of two kinds of clay: dark brown and rosy white. Finished pots are very pretty and colorful. They carry the unique identity of a genuine Mexican craftsmanship. Do you have any issues related to its glazes? In fact, both leaded and non- leaded glazes are used to make modern day clay pots. Lead is of course injurious to health. So, some of you might be avoiding these ceramic pots due to this lead-phobia. But, Talavera pots are assured to be oven safe and non-toxic. Even then, you must handle them with care since they could be chipped or broken just as any other ceramic product. Do you have any issues related to its glazes? In fact, both leaded and non- leaded glazes are used to make modern day clay pots. Lead is of course injurious to health. So, some of you might be avoiding these ceramic pots due to this lead-phobia. But, Talavera pots are assured to be oven safe and non-toxic. Even then, you must handle them with care since they could be chipped or broken just as any other ceramic product. Mexican Talavera pottery artists take a considerable time duration to finish a fairly large creation. It’s said that they take almost one year to finish certain products. You can use them as flower vases, fruit bowls or to serve certain decorative purposes. Wherever you keep them they do their best in beautifying both inside and outside of any home. Sofa is a piece of furniture that caters comfort and luxury to the user. It is the only furniture that determines the look and evokes grandeur of the living room. For ages, traditional sofa set provided comfort for lounging and relaxing in the house. Of late, the contemporary love seat and furniture completely converted the concept and purpose of the age-old seater. The modern couch not only maintains comfort but also, brings classy look to the house. Therefore, if you are sick and tired with your traditional couch then, in no time shop online a premier sofa set having modern features. Modern couches are designed and pattered wisely and their best quality ensures durability of the product. The design, properties and look of this contemporary furniture can bring a huge difference to the look of the home. Modern sofas and furniture features customized setting, ultra light weight and high quality material. Although there are innumerable numbers of couches out in stores but, many of these modern furniture are still not known to people. So, in this relation get familiar with few modern sofas and know them vividly before you purchase a new couch for your house. If your living room sports a heavy traditional piece of wood furniture like an ornamental vanity or secretary, a heavier contemporary leather sofa and a Persian rug would help complete the room. Glass topped wooden coffee tables could help create a transitional look, with a decorative sculpture as a finishing touch. If your room has a brightly colored area rug as a centerpiece, a rich pecan brown color for a contemporary leather sectional would complement turquoise or red and orange well. Danish teak accent tables with glass tops and chairs in muted colors like dark violet or gray would fill out the room without distracting the eye from the centerpiece rug. Wooden bases for lamps are sometimes an excellent complement to leathers in these dark, rich browns. A more modern living room might use white or vanilla leather furniture with clean, straight lines instead. This color scheme can also work well in a transitional room with a marble or granite hearth mantle and a creamy fur area rug. Ornamental standing plants make good fireside accent pieces if the corner is relatively roomy. A gray patterned fabric sectional can also complement a small white leather arm chair in this setting. Leather furniture can be a cozy addition to a study or reading room, as well. If your bookshelves occupy an entire wall, keeping to a relatively minimalist style in the study can help control visual clutter. contemporary leather furniture in black would be a good choice for a seating arrangement with brass lamps and a glass coffee table on black iron legs. Simple black and white wall art would help unify the room while conforming to a modern aesthetic. If you have an eclectic accent piece like a zebra patterned ottoman in the living room or study, a wide reddish leather sofa with brass nails could be the right complement in style. Keep the floor and walls neutral in beige carpet and use an overhead light to develop strong shadows for the heavy furniture. Painting the mantle and trim white can help brighten the room just enough if the beige is particularly dark. Some traditional Contemporary love seat use white leather cushions and backs on dark brown wood frames to create strong contrasts. A statement rug would go well with furniture in this style, along with a small contemporary sofa in dark brown leather. A pair of accent tables in chrome with white marble tops would help complete the transitional look with coffee table books on top. If your living room centers around a heavy wooden coffee table, a small, modern leather sectional might be a better fit. The seating can be arranged around a larger table, and unified by a large white area rug. Make sure the color of the leather and the wood are similar and good complements, but not identical. One of the most beautiful ways to enhance a southwest Mexican rustic decor is through the selection of complementary lighting and mirrors that use the punched tin technique. These accessories, carefully chosen and placed, can add a desirable glow and needed illumination to any room in the house. Nothing complements lamps and lanterns like mirrors. By adding punched tin mirrors of varying sizes throughout your space, you add illumination while continuing your rustic Mexican or southwest theme. Decorative tin frame mirrors can be found in copper, silver, oxidized, and even creamed coffee color frames. Effective use of mirrors in the home may be one of the least known practices. Large mirrors can make a small room seem larger by adding depth and illumination. Take care not to have them on opposite sides of the room, creating an infinity of reflections that can be unsettling. Place a mirror where it will reflect something of interest, from a window vista to a work of art. Southwestern lamps certainly hold unique beauty. There are many different styles available, so it will be simple to find a great choice for your home. Some are crafted from neutral colored ceramics or pottery and decorated with simple southwest designs, while others are more elegant and created from wrought iron or wood. Whether you are searching for a floor lamp or a table lamp, consider decorating with the style of the southwest. You’ll definitely be able to find just the perfect one for your home since there is such a vast selection of southwestern lighting. Some of the more popular sought after lamps are formal, floor, table and rustic style. You’ll even come to realize that southwestern night lights are popular. An option that you may wish to consider outside of buying a whole new lamp, is to replace just the shade with a Talavera Ceramic Lamps. Take time to consider the style of your home as you think of purchasing a new lamp. 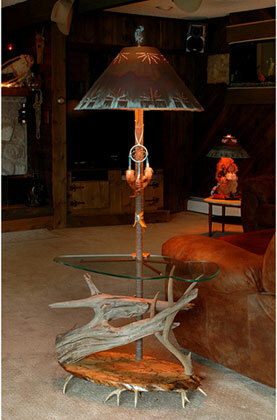 If your home is decorated with pieces of southwestern art, you might want to find rustic styled lamps. You may wish to find a beautiful iron lamp with modern accents especially if your home has a sleek modern look. Think how you want to use each lamp and how it will flow with your decorating scheme as you make your purchases. Lamps are artistic pieces that bring both beauty and light into your home. Talavera Ceramic Pots is created with majolica earthenware, which is a type of ceramic that is glazed and white in color. The pottery was introduced to Mexico by Spaniards. It is used to decorate many patios, commercial and residential buildings, social and business squares, and even homes in Mexico. When shopping for talavera pottery, you must think out of the box. Look around for a variety of products, such as talavera plates, jars, pots, vases and religious figurines. You can create a southwestern decor in every room of your home using various types of pottery. Talavera pottery can be placed in room corners on the floor or next to pieces of equipal furniture such as sofas, chairs or floor lamps. 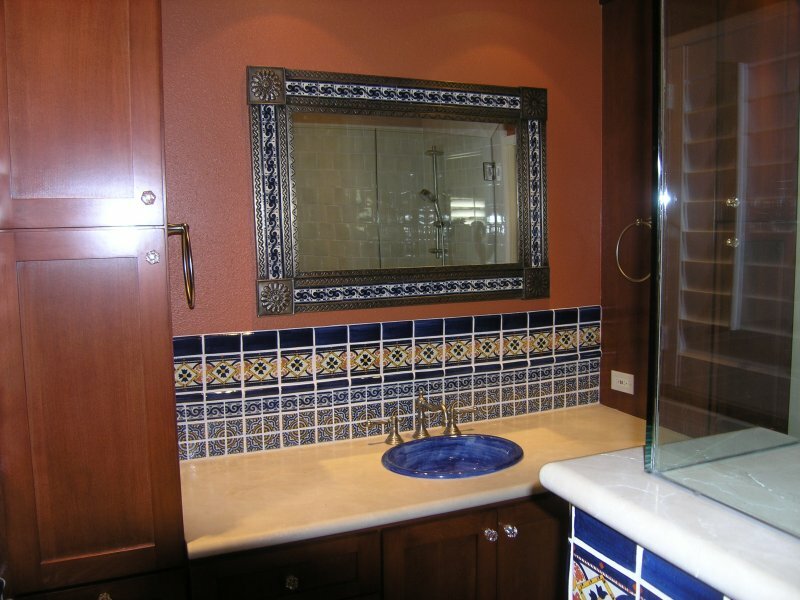 Add Talavera plates to your kitchen hutch or China cabinet display along with Mexican glassware. So whether for home decoration or for day-to-day use in the dining room, our extensive selection of authentic Talavera pottery is sure to make a wonderful addition to your home décor. "We are thrilled with our lovely Mexican home accessories. My home decor were terrific. We really are impressed with your company's quality, commitment, responsiveness." I loved every moment, this is a wonderful service. They are highly skilled qualified experts that get the job done. They were very helpful and they understood precisely what to do to aid me. Their instructions were straightforward to stick to. Pier 1 Considers Closing Dozens More Locations Spectrum NewsThe Texas-based home goods store Pier 1 Imports is considering closing 45 more stores after already permanently shutting down dozens of locations. Organization taking up donations for mom and son after fire WSAZ-TVCrosslight of Hope is taking up donations after a young mother and her 18-month-old lost everything in a fire. "WOW! What an incredible transformation - from a tired home decor, to a Spanish decors. Their keen eye for detail, exquisite taste in design, and the furnishings and accessories they sourced to style it, resulted in exactly the elegant."